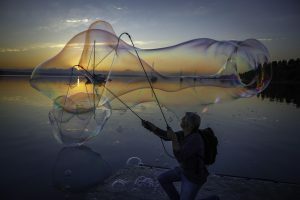 While sociologists of religion speak of the Pacific Northwest as the epitome of “the none zone” (where the majority of persons register no official religious preference on a census), most residents know Whidbey Island to home contemplatives, mystics, naturalists and activists of many religio-spiritual strains with a paradisal dream of living in intimate reciprocity with all beings. Lumens lifts up the voices and wisdom of those who live among us—the creatives whose very creativity, their luminescence, opens out from the taproot of the spiritual path and/or religious faith. 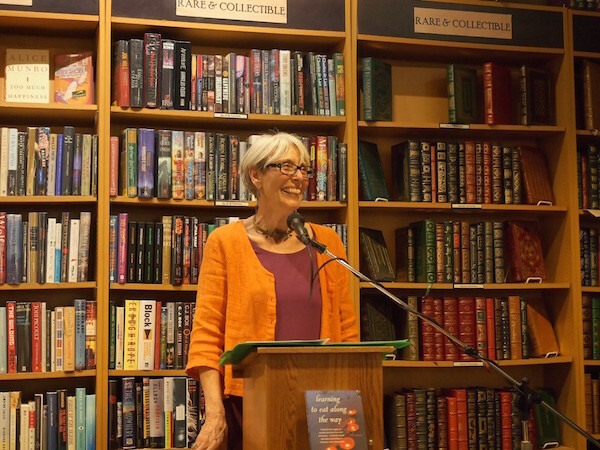 That’s how Margaret Bendet—a familiar face to Sno-Isle Library patrons—summarizes the early years of her career life. After graduating from college, moving to Hawaii and establishing herself in a career in journalism and in a marriage, Bendet found herself not so much relieved at having “made it” as juggling priorities and running scared. Her budding success seemed, after less than a decade, a long, gray, endless corridor of responsibility, duty, fear and needing to get it right. 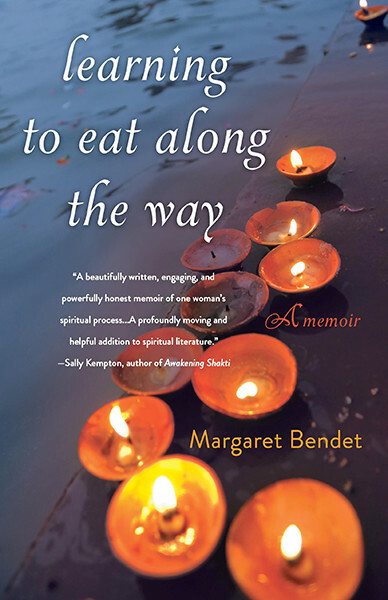 Bendet’s recently released memoir, Learning to Eat Along the Way (SheWrites Press, 2015), details her experience of stepping off the well-worn path of career advancement, based in a hardened materialist philosophy about what’s real and valuable in the world, in order to live in an ashram. Bendet settled as a “householder” outside the ashram—if still engaged in spiritual practice—only seven short years ago, when she, at the age of 63, left the enclosure of a renunciate and took up the next creative venture of making a new life for herself on Whidbey. According to Bendet, spiritual wisdom enables the palette of the practiced mind to discern between the pleasant and the beneficial. Life, she philosophically proposes, is not about pushing away evil, but repeatedly choosing what is most loving. The loving act begins “when one sees oneself…or call it God, consciousness, or spirit…in the other,” whether human or elemental. “Or even in one’s own lungs,” laughs Bendet, recalling the experience of allowing herself the cultured taste of a cigarette every night after leaving the path of the renunciate. Meditation soon pulled the rug out from under her pretensions to be counted among the chicly sophisticated as she, envisioning the gossamer tissue of her lungs, realized that even the cellular beauty of her being demanded respect. Oddly, the first crack in the façade of careerism that would eventually carry Bendet to India and back across the North American continent arrived by way of a haunting—a ghost in the house. She explains it as an uncomfortable presence that insinuated itself as a wedge between her and the life she’d been taught to live—a life that expressed the kind of materialism that sees the world only as a resource and that shapes the self for productivity and efficiency in its race to acquire. While even meditation these days can be used as another way of getting ahead by using the mind well, Bendet eventually came to see that the work of meditation may, with practice, open onto the state of meditation—that “place” of radiating love. 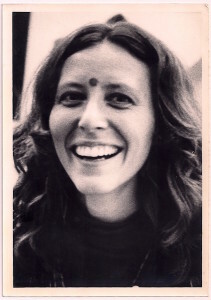 Shortly after the ghost cracked the walls of that gray corridor of duty and achievement, she experienced—during meditation with the swami—a luminous disc of energy inside herself, an event she knew was worth pursuing. If we stumble over terms like “higher reality” trying to get at this subtle experience, Bendet offers her memoir—an honest coping with some of the unbecoming, if unrelenting, attachments to romantic infatuation and to anorexia—as an invitation to each of us. “Spiritual work is worth it, so worth it,” she said. “I don’t even know if I would be alive today without it.” The practiced spiritual life occasions, as Bendet explained, not only a new relation to the self but one that relates to the world in a newly appreciative way—with consciousness freed from preoccupation with the ever fractured self and its ambitions. Bendet hesitates to identify her teachers or her particular path in the belief that doing so can be divisive. Nor does she aspire to teach. She urges the reader to regard her memoir not as a “how to” guide for the path, but as one person’s testament to the benefits of seeking spiritual wisdom. Rather than seeing herself as a teacher, Bendet sees herself as a companion, honest about the pains of self and a witness to the worthwhile endeavor of soul work. 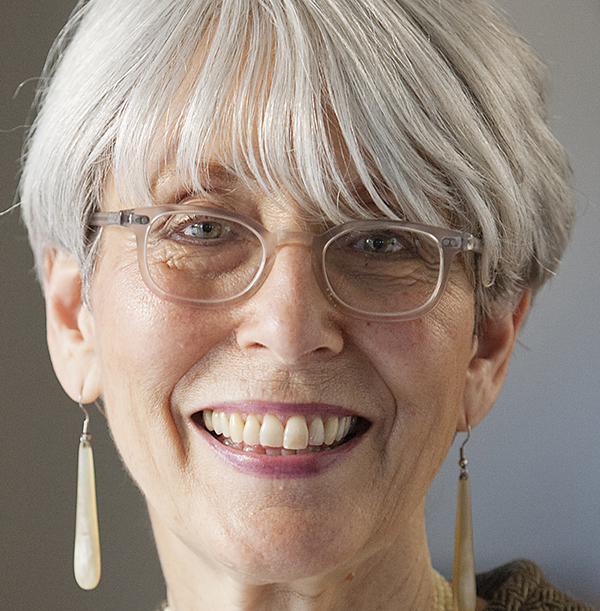 An academic theologian and philosopher by background, Sharon Betcher is now an independent scholar, writer and wannabe farmer living on south Whidbey. 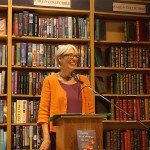 As a writer, she won the 2012 Short Story Smash and took first place in the memoir category of the Whidbey Island Writers Association’s 2012 contest. What a right-on review of Learning to Eat Along the Way. This book has provided me lots of food for thought. Sharon, I like your writing, the way it gives words to feelings that swirl around my head. You describe the Whidbey spirituality and Margaret’s so resplendently. Thank you for your illuminating words.